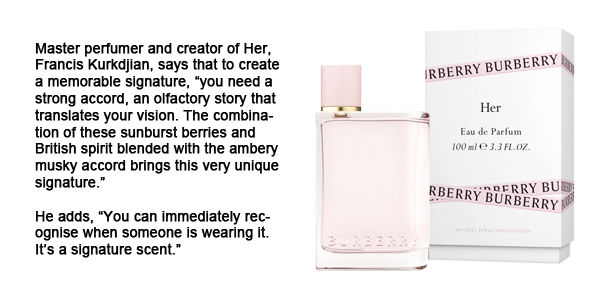 A new fragrance for women, Burberry Her, captures the bold attitude and adventurous spirit of a Londoner. The Eau de Parfum is vibrant, fruity and floral, opening with a burst of red and dark berries, and features floral notes of jasmine and violet at its heart. Available on Burberry.com and at select Burberry and wholesale stores.